This strongly interdisciplinary meeting reviewed how the principles of phylogenetic analysis can be applied to datasets other than DNA or protein, including linguistics, archaeology, behaviour, anthropology and literature. It identified the technical difficulties in this approach, and, with input from phylogenetics experts, suggested ways of dealing with the difficulties. Chris Howe’s research interests in molecular evolution began with an interest in the origin of chloroplasts in plant and algal cells. However, he has collaborated with textual scholars over a number of years in extending the application of the techniques of molecular phylogenetics from biological sequence data to the analysis of written texts. 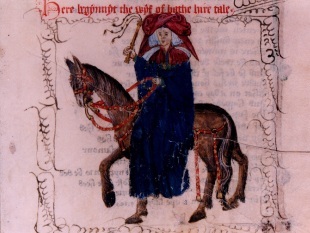 Beginning with a landmark Nature paper on the phylogenetic analysis of the Prologue to The Wife of Bath’s Tale in The Canterbury Tales, his group has extended this approach to a wide range of textual traditions. These range from the New Testament, through Dante’s Monarchia, to poems by Robert Herrick. Jamie Tehrani was trained in social anthropology at the London School of Economics (BA) and biological anthropology at University College London (MSc), gaining his PhD from the University of London (UCL) in 2005. He carried out postdoctoral research at the AHRC Centre for the Evolution of Cultural Diversity (2006-7) before moving to Durham University on a RCUK Fellowship in 2007. He is now a Senior Lecturer in Anthropology at Durham, where he helped to establish the interdisciplinary Centre for the Coevolution of Biology and Culture. Jamie’s research is concerned with how cultural information evolves as it gets transmitted between individuals, generations and societies. What kinds of things remain stable, get forgotten or transformed? How are they affected by the specific ways in which they are learned and taught? His work on these questions has focused principally on material culture and narratives, including Iranian rug-weaving traditions and international fairy tales. Phylogenetics of language and culture. My research centres on how our languages can contribute to our understanding of the human past. To that end, I have worked particularly on new quantitative, phylogenetic and ‘evolutionary’ methods and models for analysing language divergence through time. My first focus was the challenge of how best to put meaningful numbers on comparative language data, developing my own quantitative techniques (particularly for measuring phonetic distances) to feed into network or phylogenetic analyses. My approach is also explicitly cross-disciplinary, working closely with geneticists and especially archaeologists. The relationships and contacts between our languages are the direct outcome of the forces (demographic, socio-political, cultural) that have impacted upon the populations who spoke them through (pre)history. So it is only when set into those wider contexts that we can reliably read the linguistic record — including our evolutionary analyses of it — and interpret what it really means for human population prehistory. My current focus is on evolutionary approaches, particularly Bayesian phylogenetics, to assess how closely such models approximate the real-world processes at work in how language families expand across geographical space and diverge through time — and to work out how those models might best be refined, for a more convincing fit with linguistic realities. Quentin Atkinson is an Associate Professor in the School of Psychology at the University of Auckland. He has held research positions in the Institute of Cognitive and Evolutionary Anthropology at the University of Oxford, the School for the Study of Religion at the University of Aarhus, and the Zoology Department at the University of Reading, UK. He is Associate Editor for Evolution and Human Behavior and on the editorial board of Diachronica. His work uses methods and thinking from evolutionary biology to answer questions about the evolution of human culture and language, including the origin of religion, the spread of Indo-European languages and the evolution of sociality. Michael Dunn is an evolutionary linguist with a background in linguistic typology and language description. His current research takes a quantitative, phylogenetic approach to language change and linguistic diversity. Recent projects have addressed questions of coevolution of typological parameters, evolution of semantic systems, as well as the ecological and social factors influencing language change. He has also worked on the classification and prehistory of Papuan languages, and the phylogeography of Indo-European and Aslian languages. After nearly 15 years at the Max Planck Institute for Psycholinguistics in Nijmegen, the Netherlands (most recently leading the Max Planck Research Group "Evolutionary Processes in Language and Culture"), he has in mid 2014 joined Uppsala University as Chair in General Linguistics at the Department of Linguistics and Philology. Mark Pagel is a Fellow of the Royal Society and Professor of Evolutionary Biology at Reading University where he runs the Evolution Laboratory. He has published widely on topics in evolutionary genetics, behaviour, brain size, speciation and human culture and linguistics. He has published numerous scientific articles in the journals Nature and Science, and his research has been featured worldwide, including in The New York Times, Scientific American, National Public Radio, the Economist, Wired, and the New Scientist. He is the author of Wired for Culture: Origins of the Human Social Mind. Odd Einar Haugen is Professor of Old Norse Studies (Norrøn Filologi) at the University of Bergen, Norway. He has worked on textual criticism in a number of contexts, beginning with his Dr Philos thesis on the manuscript tradition of the Old Norse Gospel of Nicodemus, Niðrstigningar saga, in which he compared traditional error-based analysis and numerical approaches to the stemmatic analysis of this text (1992). He has published a number of articles on textual criticism and also chapters in books like Altnordische Philologie (ed. Odd Einar Haugen, Berlin: Walter de Gruyter, 2007) and Digital Critical Editions (eds. Apollon, Bélisle and Régnier, University of Illinois Press, 2014). He is co-founder of Medieval Unicode Font Initiative (www.mufi.info), head of Medieval Nordic Text Archive (www.menota.org) and presently editor-in-chief of Parvum Lexicon Stemmatologicum, a wiki on qualitative and quantitative stemmatology based in Helsinki. Barbara Bordalejo is a professor at KU Leuven, where she teaches digital humanities and literature. She is co-director of the Canterbury Tales Project and she has been a project researcher since 1999. She was assistant editor of The Miller’s Tale on CD-ROM and The Nun’s Priest’s Tale on CD-ROM and is the editor of Caxton’s Canterbury Tales: The British Library Copies. 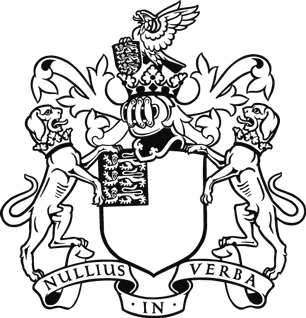 On November 24th, 2009, she published a Variorum Edition of Origin of Species (http://darwin-online.org.uk/Variorum/Introduction.html). She has served as a consultant in several electronic editions including Shaw’s editions of Dante’s Monarchia and Divine Comedy, the Agostinelli-Coleman edition of Boccaccio’s Teseida, the Severin-Maguire edition of 15th Century Castilian Cancionero Manuscripts http://cancionerovirtual.liv.ac.uk/) and various non-medieval projects. Her research interests focus on the theoretical aspects of textual criticism, especially computerized methods applied to the study of texts, and on electronic editions and the history and future of the book (including e-books and e-book readers). A large proportion of her research focuses on the application of phylogenetic software to the study of large textual traditions. Michael Stolz was born in 1960 in Munich (Germany). He studied German and French literature in Munich, Poitiers (France), and Bern (Switzerland), where he obtained his PhD (1993) and finished his habilitation thesis (2000). He was a visiting fellow in Oxford (UK, 1995–1998), St Edmund Hall (1995–1998), assistant professor in Basle (Switzerland, 2001–2005), and professor (W2) in Göttingen (Germany, 2005–2006). Since 2006 he holds the chair in medieval German literature at the university of Bern. Intermediately, he was guest lecturer in Vienna (Austria, 2001) and Munich (Ludwig-Maximilians-Universität, 2004) as well as invited professor in Paris (Sorbonne, 2007–2008). Other positions: director of the Parzival Project (www.parzival.unibe.ch, since 2001); President of the Swiss Academic Society of German Studies (2008–2012) and of the Bernese Centre of Medieval Studies (2009–2012); Vice-Dean (2010–2012) and Dean of the Arts and Humanities Faculty of the University of Bern (2012–2014). Professor Tuomas Heikkilä (b. 1972), PhD, is currently the Director of the Institutum Romanum Finlandiae, the Finnish scholarly institute in Rome. After studies at the University of Helsinki, the Eberhard-Karls-Universität Tübingen, and the Biblioteca Apostolica Vaticana – where he took the European Diploma for Medieval Studies – he took his PhD with highest grades in Helsinki in 2002. In addition to a lengthy career at the departments of History and Church History at the University of Helsinki, Heikkilä has worked as a visiting research fellow at the Swedish Collegium for Advances Study in Uppsala. Author of a dozen scholarly and popularizing monographies and more than a hundred articles, Heikkilä’s specialities include high medieval monasticism, medieval hagiography, manuscript studies, written culture in the Middle Ages, and stemmatology. Currently, he concentrates on different aspects and perceptions of time in the Middle Ages. Wendy Phillips-Rodriguez is Junior Professor at the Research Institute of Philology and Lecturer at the Faculty of Philosophy and Literature of the National Autonomous University of Mexico. Her areas of expertise are Ancient Indian Literature (Sanskrit) and Textual Criticism. She has worked extensively on the application of phylogenetic tools for the analysis and edition of ancient textual traditions. Her PhD dissertation, An Exploration of the Phylogeny of the Dyutaparvan, was conferred the DK Award to the Outstanding Doctoral Thesis on Sanskrit in the years 2006 to 2008, by the International Association of Sanskrit Studies (IASS). Sara Silva received her PhD from Keele University in 2008 with a thesis on the rich interplay between nineteenth-century science and literature: ‘Sexual Plots in Charles Darwin and George Eliot: Evolution and Manliness in Adam Bede and The Mill on the Floss’. Since then, she expanded her interests in the history of Darwinian thought in other directions, exploring the potential of phylogenetic methods to test hypotheses about human nature using literature, especially texts related to tradition. These represent a valuable yet often neglected repository of information on dynamics of cooperation. Indeed, despite often (dis)regarded as fictitious, folktales can provide crucial insights as imaginative simulations of reality. She is currently a postdoctoral researcher at the Institute for Studies of Traditional Literature, New University of Lisbon, Portugal, working on evolutionary readings of folktales, and has collaborations with Durham's Centre for the Co-evolution of Biology and Culture, and the Centre for the History of Emotions at the Max Planck Institute for Human Development. Her cross-disciplinary project, which focuses on patterns of moral expression, explores how the extraordinary variability within the misleading uniformity of folktales makes them ideal for cross-cultural comparisons. Heather Windram is a researcher in the Department of Biochemistry at the University of Cambridge. With Christopher Howe, she has published widely on the application of phylogenetic methods from evolutionary biology to non-biological data, collaborating with textual scholars to analyse literary traditions ranging in date from the Anglo Saxon Chronicles of the 10th to 12th C, through to the poetry of the 17th C English poet, Robert Herrick. In collaboration with Terence Charlston, this work is being extended to include manuscript and early-print music traditions. She is a co-editor (with Charlston and Andrew Woolley) of a forthcoming series of facsimile editions of English Keyboard Music c.1650-1700. Mark Collard is Canada Research Chair in Human Evolutionary Studies, Professor of Archaeology, and director of the Human Evolutionary Studies Program at Simon Fraser University in British Columbia, Canada. He also holds a personal chair in the Department of Archaeology at the University of Aberdeen. Professor Collard earned a BA in Archaeology and Prehistory from the University of Sheffield, and a PhD in Hominid Palaeontology from the University of Liverpool. After his PhD, Professor Collard held a Wellcome Trust Postdoctoral Fellowship in University College London’s Department of Anthropology. This was followed by faculty positions at University College London, Washington State University, and the University of British Columbia. He has been at Simon Fraser University since 2007. Professor Collard has published on a wide range of topics in Archaeology and Anthropology, but much of his work in recent years has involved the application of methods and theory from evolutionary biology to cultural data. Vincent Moulton is Professor in Computational Biology at University of East Anglia. After completing his undergraduate studies at University of Warwick in 1987, he moved to the USA, where he completed an MSc at University of Washington in 1991, and his PhD at Duke University in 1994. He then worked as a researcher at University of Bielefeld, DE, and University of Canterbury/Massey University, NZ. In 1997 he moved to Sweden, where he was employed as Senior Lecturer at Mid Sweden University and, as of 2002, Professor in Bioinformatics at Uppsala University. He joined University of East Anglia in 2004. Teemu Roos is an Assistant Professor at the Department of Computer Science, University of Helsinki, Finland. He received a PhD degree in 2007 from the same University. Before his present position, Dr Roos has held postdoctoral and other academic visiting positions at UC Berkeley, MIT, and University of Cambridge. He is a member of Finnish Centre of Excellence in Computational Inference. His research interests include machine learning, information theory, and their crossdisciplinary applications especially in digital humanities. 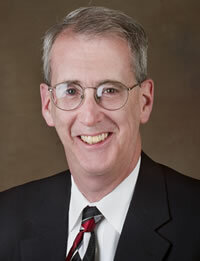 Michael J O’Brien is professor of anthropology and dean of the College of Arts and Science at the University of Missouri. His undergraduate degree is from Rice University and his PhD from the University of Texas. O’Brien is best known for his work in evolutionary archaeology, and in the late 1990s, he began concentrating on the use of phylogenetic methods, especially cladistics, in archaeology. Over the years O’Brien has benefited from collaborative interactions with numerous evolutionary-minded social scientists, including Lee Lyman (Missouri), Alex Mesoudi (Durham), Kevin Laland (St Andrews University), and Stephen Shennan (University College London). Much of his recent work on cultural learning has been done with Alex Bentley (Bristol) and William Brock (Missouri), and his work on the Paleoindian occupation of North America has been done in collaboration with Metin Eren (Kent), Briggs Buchanan (Tulsa), Mark Collard (Simon Fraser), Matt Boulanger (Missouri), and David Meltzer (Southern Methodist).